Well, it seems I've been channeling religion since the start of the New Year. 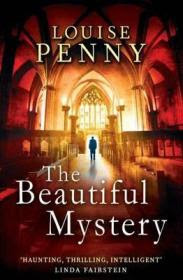 I honestly had not realised it until a day or two ago but my first book of the year was about a Victorian vicar and his wife moving to a small village, the second about a New England Rabbi and the third, The Beautiful Mystery by Louise Penny, is about a monastry in the middle of the Quebec wilderness. It's more than a bit bizarre really. The book is my third book for the 12th. Canadian Book challenge and also my third book for Bev's Calendar of Crime challenge. covering the July category 'A book that takes place in the US or Canada'. The monastry of Saint-Gilbert-Entre-les-Loups (St. Gilbert Among the Wolves) is a mysterious monastry in the wilds of Quebec. Mysterious because its whereabouts was unknown until they put out a cd of their Gregorian chants, which caused a sensation because it was so wonderful. People descended on the monastry but no one was ever admitted, the 24 monks who live there wanted to remain silent and isolated. Which worked fine until the prior, a brilliant choirmaster, is found dead in the Abbot's garden, apparently beaten to death with a blunt instrument. This of course brings the Sureté du Québec down upon their heads in the shape of Chief Inspector Armand Gamache and his assistant, Jean-Guy Beauvoir. Gamache is fascinated by the monks and their way of life, Beauvoir not so much, all he wants to do is get back to Gamache's daughter, Annie, whom he has been secretly dating. Finding a killer amongst 24 silent monks is every bit as difficult as it might sound. The monks' vow of silence is lifted temporarily and slowly but surely the secrets emerge. It seems there is a rift and the monks are on one side or the other... but who could've felt strongly enough to murder? Quite a few as it turns out. Goodness me, this is a powerful, multi-layered, hard-hitting book. 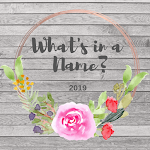 I've read a few crime stories set in monastries, to be honest, I nearly always lose track of who's who and who did what to whom and why... but not this time. Louise Penny keeps her finger right on the button and I never lost sight of the people, their motivation, or the background detail of what's going on with Gamache and his bosses back at the Sureté du Quebec. That last point features very strongly in this book. It's been on the back-burner for a while, but always there, simmering away - mentioned in passing so the reader doesn't forget that Gamache has real problems at work. He and Beauvoir are both still recovering from a traumatic incident: Gamache is doing well and Beauvoir appears to be coping, but he is fragile still and vulnerable. The murder aspect of this book was very well done and I thoroughly enjoyed the monastic elements and learning about the chants. And what a gorgeous setting! The personal stuff though, especially right at the end, knocked me for six. I was not expecting things to develop in that manner and even though I have seen this plot device used before, this feels hugely more personal as I've come to know and love these characters. I need a short break now before I grab the next book from the library, to get my breath back and 'gird my loins' so to speak. I'm expecting a rough ride! Me too about religion- only mine all about Rabbi Small. I'm at 4 not 3 but only because my first one was a tiny book (not Kemelman). So right now, we are still pretty even. I love thinking of us reading side by side all those miles apart. Yikes--oh, I do sympathize and empathize with you. This has happened to me in books (and, of course to all of us, in life). But in books at least I for one have a hard time if I have the rug pulled out from under me unexpectedly. It can upset me for a long time. And then I dig into comfort reads where I know FOR SURE things will turn out all right and nothing terrible is going to happen. Just for a bit. Til I recover. Political messiness can make this condition worse, at least for me. I still haven't read any of Louise Penny's books. I think it's the thought of starting another series that is putting me off. But this one does sound good, although I have no idea what 'the personal stuff' you mention is all about - I guess it's part of the ongoing story of the main characters? Would it matter do you think if I jumped in the series at this point? Or do I have to start at the beginning? Pat: LOL... noooo, not taking a break from reading, taking a break from this series. I need to recover a bit. Moving on to something else for a bit. Nan: The religion thing is so funny, it seems I've covered Church of England, Judaism and Roman Catholicism, not bad for an agnostic. I'll be with you at 4 books later today as I've almost finished Michael Palin's Round the World in 80 Days. It is indeed nice to think of us reading side by side, I wonder if we'll end up in the same place again in December? Kay: I knew you'd understand. I have so many questions that will only be answered when I read on, so I will get to the next one soon. We're away for a few days but will be at the library next week so will grab the next book then, even if I don't get to it for a couple of weeks. No, I didn't know that she had actually stayed in the monastry where she set this book, absolutely fascinating, I thought somehow that she must've based it on a real place as was so convincing. 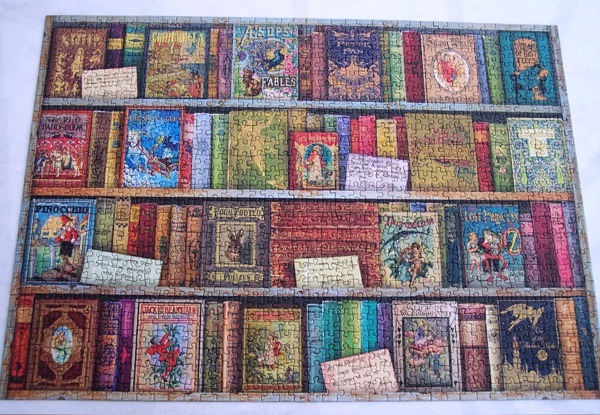 Judith: I tend to retreat into non-fiction when a book has knocked me for six. I've been reading Around the World in 80 Days by Michael Palin for normality. I've seen all of his docs on TV but never read any of his books, but wanted to this year. Then my grand-daughter gave me that book for Christmas so it was a perfect opportunity to sample his writing. I don't know how my grand-daughter knew that as I know I haven't told her, life is very odd sometimes. Margaret: Oh yes, I do know the 'shall I start a new series' dilemma. Because it's quite a committment and I suspect we're both reading quite a few already! Yes, there's an ongoing backstory to do with the police, corruption etc, in Quebec, which is not to the fore in every book but it was in this so it would not be a good place to start. Which is a shame as it's such a good book. Thanks for your reply, Cath. Not sure I'll start this series - too many on the go as you suspect.